Most dentist appointments are scheduled well in advance. However, accidents and emergencies can happen at any time. Have you ever fractured a tooth? It's painful, and needs to be fitted with a dental crown right away. If you lose a filling, your cavity needs to be filled again immediately to prevent it from worsening. 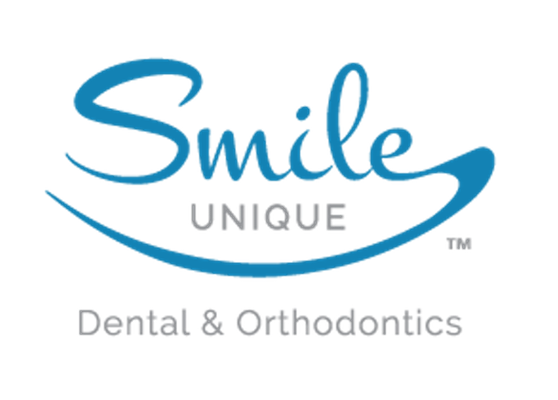 At Smile Unique in Houston, TX, we understand that dental emergencies happen, and we're here to take care of your urgent dental needs. If you are in urgent need of dental care, don't wait until your next regularly scheduled dentist appointment. 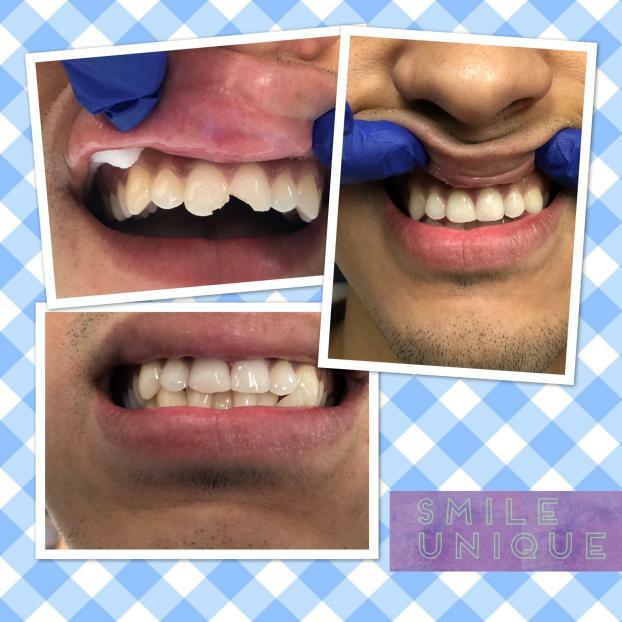 Call Smile Unique in Houston, TX to fix the problem the day that it happens! Sheri is the most amazing and fantastic! Dr. Kumar is the best dentist of all time ever ever.....ever. I just returned from my appointment at Smile Unique and I can’t recommend it enough! If I could give this place 6 stars I would! 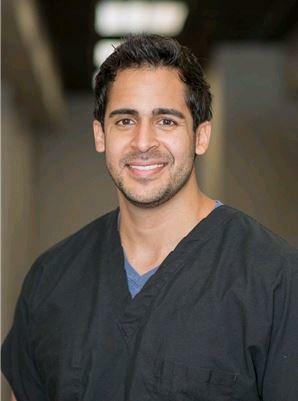 The establishment was super clean, modern, the staff were amazing, and the results perfect; after Dr. Arunkumar finished operating I couldn’t tell I ever chipped my tooth! Despite scheduling my appointment on short notice, unintentionally giving completely wrong insurance information and showing up nearly an hour late on an incredibly busy day, they did everything to make sure I got the treatment I needed the same day, in order to accommodate my restrictive schedule. I want to thank Sheri in particular for the unforgettable service. I inadvertently wasted countless hours of her and Molly’s time (forgive me, Molly) and added additional hours of stress with my insurance problems, both on and after work hours. Despite all this, she was so incredible, sweet, helpful, and endlessly patient, it really made me feel like family. If that wasn’t enough, my bill ended up going above my total coverage, and she waived the extra! If you are anywhere near this establishment and need any dental work done, look no further, you will not regret it! The staff here are fantastic! Amazing! Customer Service was excellent! Everyone was so wonderful and attentive. Explained everything that was going on during the procedure and was extremely gentle! I would recommend this place for sure!!! You won’t be disappointed! OK you know how you hate to go to the dentist? This was a different experience. It was almost a joy. Jessica and Miss Sherry were professional yet fabulous and wonderful to me. Dr.K was unlike a lots of doctors ,a pro at easing my concerns. He answered my questions completely and thoroughly. What I like most about this experience was that I was not treated like a number. I did not feel like I was on an assembly line they treated me like an actual person I highly recommend them! Awesome dentist! Great experience and highly recommend! These people are blessing in my life. They have heart of gold, very nice people and professional. I am giving them 5 stars after an excellent service cleaning and crown for me and my wife in the parking lot before I drive off. My wife can not stop talking about them. I ain’t going anywhere but this dentist. Smile Clinique (Sheri, Martin and Dr Kumar) thank you a million. Normally, I do not post. Dr Kumar and his office staff are easily the best find !! Incredibly kind! I hate going to the dentist. They immediately put me at ease. Everything was explained up front, so that I knew what to expect. I will be telling all of my friends about them. These guys are INCREDIBLE!! 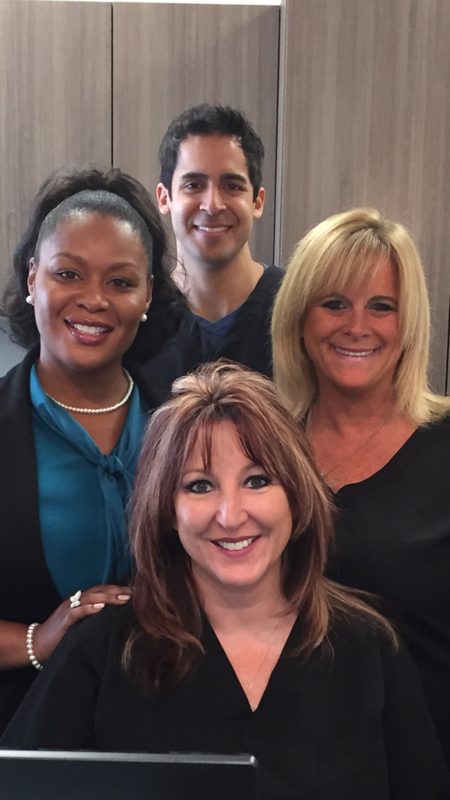 The front desk, Sheri, the dental tech and the dentist make a great team. They take their time, keep you informed about what's going on, what's next, ext. During the procedure, the dental tech and Dr. Kumar are ALWAYS asking if you are ok. WOW, these guys know how build trust with their patients. Dr. Kumar is the most laid back dentist I have ever met. He is friendly, talkative, just a very nice guy. Like most people, I am not a fan of going to the dentist, but I actually enjoyed my visit and look forward to going back. THIS IS THE ONLY DENTIST IN KATY TEXAS I WILL GO TO. Thank you Smile Unique for being so awesome!!! So sweet, very gentle. Doctor explained everything to me in detail, answered my questions. Sheri is amazing and I feel very taken care of here. Worth the drive! Came here for the first time for my cleaning. Sheri and Dr. Kumar were very professional and courteous. Highly recommend especially if you live or work in the area! I chipped my tooth yesterday and needed emergent dental care. In a matter of minutes, Sheri listened to my concerns and scheduled a same day appointment for me. Dr. Kumar fixed my tooth in less than 15 minutes and answered all of my questions. I was amazed by the efficiency in both the scheduling process and the actual treatment process. Dr. Kumar and Sheri truly provide professional and patient centered care and I will utilize them for all of my future dental needs. Thank you both so much! Staff is very polite and knowledgeable. I went in for a root canal that was quick and nearly painless. Highly recommend Smile Unique and Dr. Kumar for any dental work you need! WOW. Let me just say, this place is freaking AMAZING! I am not even a patient of this office and they treated me as though I have been one of their most loyal pt's for years. The careing, kindness and concern that was shown to me by Sheri was just out of this world. I can't tell you the last time I received such unbelievably GREAT customer service, I mean she went WAY above and beyond to make sure I was taken care of and alright. Something my current dental office didn't even care to do. THANK YOU again so VERY MUCH Sheri💋you have definitely won me over and with that being said, I am dumping my current dental office and I look forward to starting a new relationship with your office. Absolutely in love with Ms. Sheri and Dr. Kumar! They make all visits super comfortable and relaxing. I've never been able to call a dentist office home until now. I would recommend them to anyone. Staff is friendly and perform great cleaning work, along with detailed explanations of xrays and any additional work needed. They have done an excellent job on my teeth! Best dental experience ever.Dr Kumar is Extremely professional and his staff are very sweet and welcoming .I will highly recommend him to everyone ! I was absolutely amazed at how awesome they were and really seemed to care about my feelings. I will recommend them to everyone!!!! Dr. Kummar and Sheri are the best! Will definitely be back! Outstanding staff and facility. Dr. Kumar and Sherri are true professionals that make sure each patient is comfortable and kept informed. Thank you for the excellent service and I would definitely recommend them for any dental needs. I came in for an emergency visit. They took me right in. Found the problem, fixed it right away. Extremely professional starting with the front desk to everyone in the back. Dr is very gentle and compassionate. I would highly recommend them to anyone needing a dental office. I was nervous going in but the staff is so amazing, I felt comfortable enough pretty quick. And they explain everything so there is no confusion and made sure that relief of my pain was made a priority. Great service, very very nice team. Will definitely be taking my family here for all their dental needs. Never had follow up service like these guy's give. Great customer service! I had a cleaning and it was quick and efficient. Definitely would recommend to others. I was terrified of going to the dentist due to a past experience. I found Smile Unique while doing a Google search. I was hesitant at first but after reading the reviews I was convinced this is the dentist I should see. I must say this was the best experience I've ever had at the dentist! Sheri's communication before, during and follow up after my appointment was wonderful. Dr. Kumar goes above and beyond and is best dentist I've had so far. 10 stars and highly recommended. Amazing Team- I was experiencing pain on a Sunday morning and called them and they talked through everything with me and got me into the office within 2hrs! Once in the office they were very pleasant and professional the whole way through. Talked me through all my options and made sure I was very comfortable. The procedure was quick and painless! This is definitely my new dentist! Always friendly and welcoming when you go. Hands down the best dentist I've been to. Best dentist office I've ever been to. I was experiencing pain and Sheri was able to fit me in same day. Sheri was extremely helpful and friendly. Dr. was super gentle and thorough. He made sure I understood everything he was doing and that I was comfortable while he was doing it. I never felt panicked/scared or pain. Definitely recommend. Best dental experience ever!! He was so patient in answering all my questions and believe me I ask a ton of questions. Everyone in the office is very nice and friendly. I would highly recommend Smile Unique especially for the kids they loved this place. Straight teeth. Perfect!!! Would recommend Greatly appreciated, always upgrading and developing. My wife Jackie who is terrified of dentist (due to major work in the mouth in the past) has found Dr. Kumar and has raved about his office staff, his patience, and him. We know when the wife is happy everyone is happy :) I am thankful she has found a dentist she can at least be ok with knowing that he will try to make it a pleasant experience for her. From this husband thank you!!!! If I could give Smile Unique 6 stars I would. I came in experiencing serious pain and they saw me without an appointment. They quickly identified the source of my pain and dealt with it accordingly. Never did I feel pressured or uncomfortable. The expirenced staff at Smiles Unique provide a phenomenal experience. Just recently moved to the area and was in search for a dentist. After reading the reviews I chose Smile Unique, and I'm glad I did. 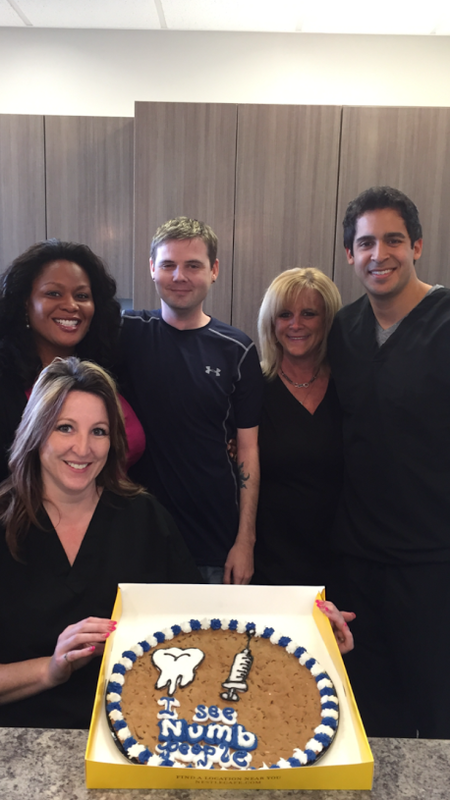 The staff at Smile Unique was attentive and made you feel like family. I think I've found my new dentist. I had a great experience at Smile Unique. Dr. Kumar and Sheri are wonderful! They go above and beyond for their patients. I highly recommend going here. Got me in same day appointment and got me in to the orthodontist right across the street same day! Sherri was fantastic and so kind and funny. Definitely put my mind at ease. Being in the healthcare business I peep out the good and bad guys. These guys are definitely the good ones. I will be driving all the way here from willow brook from now on just to come see Dr. Kuma!! Came for a cleaning and Sherri was very professional and kept me comfortable for my deep cleaning. Also when it came time for the payment she made sure that my insurance was ran correctly since I have two and that I was not being over charged. I found this dentist office in a panic on a Sunday when I had some very extreme and sudden pain in a molar. Spoke to Sherri a few times on the phone on Sunday but I was pretty convinced I could make it through the Sunday and go in for a visit on Monday morning. Monday morning they were able to get me in first thing, assessed the tooth and got me in right away to a root canal specialist. Was so grateful to these guys for their excellent service and will be glad to use them as our family dentist going forward! I actually had a really great regular dentist that I had gone to for years before trying out Dr. Kumar, but they were asking $3000 for a root canal and there was no way I could afford that. I was in too much pain (and my cheek was swelling) to wait until I had the money, so I reached out to Smile Unique due to their awesome reviews. I am so happy to say that I have found my new, permanent dentist! From the first moment I spoke to Sheri, I felt comfortable and listened to. It was like talking to your own mother! She got me in the next morning and the procedure cost so much less than I was quoted at my other dentist. She really took care of me and I knew I had finally found a dentist that wasn’t trying to add on additional costs or overcharge me. Dr. Kumar is the absolute BEST dentist I’ve ever come into contact with - my previous dentists were voted #1 in Houston and he blew them out of the water! He was so sincere and just a genuinely kind person. He explained everything to me while he was working, made sure I was comfortable, and did such an amazing job. I didn’t feel a thing after I was numbed (SO important to me), there was hardly any wait time at all, and his dental assistant was so sweet and attentive. I really felt like they all wanted me to be as comfortable as possible. They even offered me a blanket which I thought was so sweet! 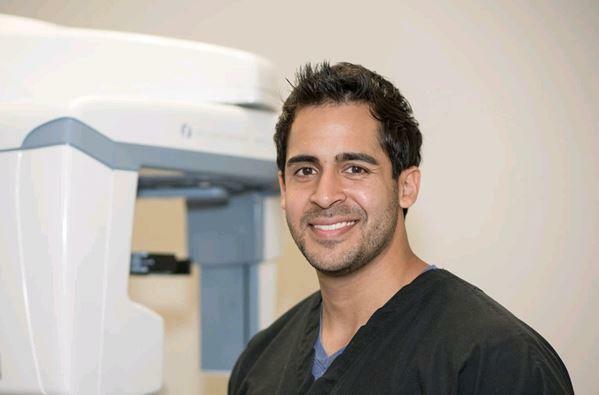 I could literally go on and on about this group, but I’ll just summarize it by saying this: If you are looking for an excellent, reasonably priced, honest dentist that isn’t trying to charge you outrageous prices, GO SEE DR. KUMAR! You’ll understand everyone’s rave reviews once you do! Thank You Sherri and Dr. Kumar for such a great experience at Smile Unique! Great place!! Called on a Sunday with tooth pain they got me in the same day. Never been here before and was treated like I've been going for years!! Very happy with the work will be returning in the future!! Great staff. Great Dentist. Came in on Sunday to help me. Highly recommended. Dr. Kumar and Ms. Sherri are so awesome and extremely friendly. They are always willing to go above and beyond for their patience especially for me. If you aren’t going to Smile Unique for all your dental needs then your smile hasn’t quite been perfected yet. Thank you so much for my healthy teeth. Dr. Kumar was the best dentist I've been to by far! Excellent work and time efficient. Mrs. Sheri is awesome and made me laugh! Always smiling and great customer service. If you need work done you should definitely come here. Absolutely an out of the box cleaning! 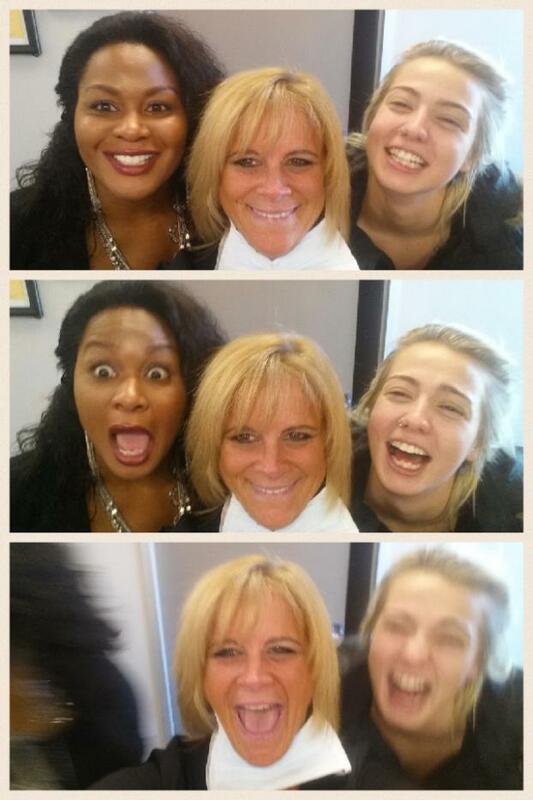 I love Sheri and her assistant! I was so afraid to change dentist! So thankful I did! Loved that handsome Dr Kumar! I was so impressed with their technology and professionalism that I made sure that my sweet hot mess got to do the teeth whitening procedure! Helpful staff! They made the experience really welcoming and my chipped teeth came out amazing! Thank you! This was my first visit to this dentist and my experience was amazing. I called on Sunday with a chipped filling that was causing pain and Sheri took my request and tried to get me in as soon as possible, getting me in the next day. She was in contact even after hours (and it was Mother’s Day) and when I came in it was quick and easy. The assistant was really nice and she talked with me the whole time and let me know when she was going to take the x rays and everything. De. Kumar was also really nice and he let me know exactly what he was doing and they asked if I had any questions and were thorough with my exam and my dental health concerns. He filled my chipped filling instead of giving me a cap right away. I’ve already scheduled my cleaning with them because they were so nice for taking me on such short notice and really taking care of me and making me feel comfortable. Highly recommend them! I’ve never liked visiting the dentist but a co-worker referred me to Smile Unique and I’m glad I went there! Dr. Kumar and his assistant were very good at explaining things to me and making me comfortable as they did the work. He offered advice on what work needed to be done but allowed me to make the final decision on how to proceed. Sheri is also very nice and helpful with explaining costs, insurance amounts, etc. She was able to schedule me in quickly and also followed up the next day to make sure I was doing ok. This is a great dentist office and I highly recommend them! The Best Service and Staff! I have found my new dentist. I really enjoyed my visit at Smile Unique. The staff was very friendly, Sheri in particular was awesome. I was able to get a cleaning the same day, even though I was a new patient. I highly recommend this office! Dr. Kumar and Ms. Sheri are awesome! They were very gentle and attentive. The Dr. explained everything very thoroughly. Ms. Sheri also called to follow up to make sure if I was okay, she gave me options and talked to me one on one about options of payments and how to go about it. She was very understanding and very caring. We had a great experience! I called on a Friday afternoon and they were able to get us in on a Monday AM! I called in Saturday morning to see if they could work me in Sheri was wonderful I had to have a molar removed. The entire process was explained to me by Dr. Kumar he was great removed my tooth and made me feel comfortable through the process. Definitely recommended they are very professional and courteous. Needless to say, visiting the dentist has never been a favorite pastime of my kiddos ... but that's officially changed!! They absolutely loved both Dr. Kumar and Sherri and we're so happy to have found them! This was the best place I could ever ask for in the best timing I went to ideal dental and they tried to over price me and told me my tooth would be pulled out that day well they lied about everything so I called smile unique and not only did they get my tooth pulled at a amazing price the staff was amazing do to my busy schedule I couldn't really use the phone much but they're beautiful assistant Sheri had no problem texting me if it wasn't for her texting game I would probably still be needing my tooth pulled she is definitely the best person to get in contact with if you want a great ending result at good prices and dr.kumar did a amazing job pulling it out he talked me through every step and I felt comfortable all around I give this dentist 150% recommendation. Loved Dr. Kumar & his staff! I hadn’t been to the dentist in a few years, and they kept my mind at ease throughout the entire appointment. They were very friendly from the moment I walked in I was even greeted by name! Talk about great customer service:) Dr. Kumar was great! He didn’t make me feel like a number he defiantly is genuine with his patients. I can’t wait to return in 6 months! Who can ever say that about their dentist?! I was in a lot of pain over the weekend and they were able to accept me last minute. As someone who has been afraid of going to the dentist for years, Sheri and Dr. Kumar put me at ease and made sure I was okay every step of the way as I got the work done on my teeth. I’m happy to say I’ll continue to go here and I’ve already recommended them to my family and friends! I can not say enough positive things about my experience. Smile Unique accepted me last minute on a Saturday and treated me like I have been a patient for years. Sheri was professional and extremely down to earth. The overall environment and thorough approach put me at ease. I definitely recommend and will be returning. I was in a lot of pain and was looking for a dentist open on a Saturday. I called and Sheri had so much compassion for my pain and was so nice it felt like a friend taking care of me. When I got there everyone was very caring. Dr. Kumar is so nice and caring took time to explain everything to me. Everyone in the office is very sincere and caring. My experience was all about helping me. Some places make you feel rushed so they can move on to the next cash cow...NOT once did I feel that way! The staff are awesome. Dr. Kumar was very gentle and attentive. He explained everything before the procedure. Sheri and Tina kept checking on me to make sure I was ok. This is the first time I've gone to the dentist and it didn't hurt. Smile Unique Houston is the best! Had a X-rays today. Doctors were really Nice. I was literally on my way to another dentist, when I just had a gut feeling not to go. Thank goodness I didn’t, and decided to stop in at Smile Unique. My husband was in so much pain today, and they took care of him. Sheri, is the sweetest at the front and makes sure that you are very well taken care of. I honestly would recommend this place to anyone. If I could give 10 stars I would! Thank you Smile Unique! Great Dentist and great staff. Dr. Kumar is by far the best dentist I've ever had. Takes his time to explain what he is doing and is truly concerned for his patient's comfort and well-being. I also appreciated not being bombarded with everything that needs to be done on my first visit. Sheri was very welcoming and reassuring as well. Highly recommend this place. Great experience! Sheri is wonderful! Very easy to schedule appointments, actually cares about her patients, and knows what's she's doing! Pleased with this office! I was there on Saturday close to closing time about a broken tooth. Sheri and Dr Kumar stayed late to the root canal and made me feel so special. I will definitely continue to have my dental work done with Dr Kumar and his staff. I'm not usually a fan of medical places found in strip centers, but Sheri, the dental hygienist, makes you feel like your at home when you walk in. Tina (I'm guess she's called a technician) was very professional and good at her work, and Sheri definitely knows what she's doing. The dentist took a look at my x-rays (I was concerned I had a cavity) and had a lot of good knowledge, explaining that my soreness is from inflammation caused by too much flossing (you don't hear dentists say THAT often) and that my teeth and gums were very healthy. Also, even though I came in with a special coupon for exam, x-ray, and cleaning, they never tried to upsell me or anything of that sort. Anyhow, 5 stars, two-thumbs up, standing ovation and the works. I don't usually write reviews, but my experience with Dr. Kumar and Sheri was amazing! Let me start by saying that I am terrified of Dentists, so I avoid going at all costs. I cracked one of my upper molars and was starting to have terrible pain, which was interrupting my sleep. My first contact was with Sheri, and she was so caring and nurturing, made me feel very comfortable every step of the process. They were able to get me in quickly, and even though my process took most of the day - they completely solved my issue and I feel 100pct better! Dr. Kumar was so gentle and just a real caring person ( and funny too!! ). If I could give more than 5 stars for them I would, thank you all for helping me through this process and actually making it bearable. I can't say enough good things about smile unique. My background - I'm Scottish and after many bad experiences, I've been left terrified of the dentist. I moved to Houston a few years ago but I couldn't pluck up the courage to find a dentist. I first called smile unique on a Sunday afternoon as I had awful toothache. Sheri was so helpful and understanding and tried to fit me in that day but my personal circumstances didn't allow it (I have a very young baby) However, Sheri fitted me in for the first appointment the next morning. Before my appointment, Sheri was in constant contact with me asking how I was feeling - she didn't need to do this but this just shows how much of a kind person she is. I went in the next morning and I instantly felt at ease. Sheri knew how nervous I was and she was very caring towards me while doing the x-rays etc. I then met Dr. Kumar who was also very caring and understanding and explained the procedure in great detail. They were both very patient with me and stopped at regular intervals when I needed a break. It was obvious in the short time that I was at smile unique that a lot of respect exists between Sheri and Dr. Kumar. Their personalities bounce off each other well and this meant that I felt very comfortable while there. Special thanks to Sheri for being so compassionate towards me - it really does make a massive difference when you are so terrified! Thanks Smile Unique! This was a very pleasant experience. Sheri and Dr Kumar are professional and nice to do business with. I would highly recommend these fine folks. Very thorough and accommodating. Sheri is amazing! Dr is extremely informative and explains everything in detail so you could actually understand. I felt so comfortable in their hands!! This place was incredible. I called with a broken tooth on a Sunday, right at about closing time, and they were so accommodating. After hours, they were extremely friendly and patient with my root canal. Not to mention, I had my kids with me as well. Sheri and Dr. Kumar were awesome. I will continue my dental treatment here and would highly recommend this place to anyone. I like the service. .
My husband is petrified of the dentist and hasn't been in 23 years because he is so scared! We had an emergency appointment made on a Sunday and Sheri and Dr. Kunar were FANTASTIC!!!!! They made my husband feel comfortable and the procedure went smoothly! They are great people and very welcoming. You will NOT be disappointed here! My experience with Smile Unique was great. The customer service was great and they were accommodating. They took the time to explain to me what is going on and the next steps. They didn't obligate me to do any of the recommendations unlike other dental clinic. Sheri is the dental hygienist and she was great with the patient. She's very sweet and knowledgeable. Would recommend. Dr. Kumar and Sheri were absolutely wonderful. They seen me on a Sunday and helped relieve the pain I was in. Went back in a couple days later to have the tooth pulled and best experience I have ever had with a dentist!! I will be making all future dental appointments with them!! My mom had an emergency during the weekend, Smile Unique were the only ones opened who fit my mom onto their schedule. They were very attentive and worked with her to get her all fixed up! Staff is amazing!!! Definitely recommended. My husband made appointments for us for a Saturday morning after avoiding the dentist for years. Sheri & Dr. Kumar went above and beyond for both of us. I am pregnant and they made sure they had the correct/safe medications needed and have worked with us and our crazy schedules for our follow-ups. I used to be terrified of the dentist, but not anymore--we will be regular patients here now. This was a great visit and place. They really make you feel at home. The staff is very considerate and welcoming. I am so happy that I found them. Had fears of going to the dentist but Sheri the hygienist and Dr. Kumar were both awesome. They were able to get me in quick, since it was urgent that I couldn't chew and got it fixed for me. They checked with me and made sure I was comfortable throughout the whole process. Great service, very gentle hygienist. I recomend this place 💯If you are afraid of dentist go here you will feel no pain. I can not express how amazing Smile Unique is. From a bad past experience to an "AMAZING" one with Smile Unique. I am so glad I read all these reviews and with that alone gave me the confidence to make that call. When Sheri answered the phone and I had let her know of my past bad experience with a dentist, she made me feel that this would never happen there at Smile Unique. She spoke so highly of Dr Kumar. I knew I had to get my chipped filling fixed and so I agreed to come in. I knew I wouldn't get there in time before they closed but they did the unbelievable and stayed later after hours to make sure I was taken care of even on a Friday night. I was so happy with how it all went. Dr Kumar was amazing and was by far the "BEST" dentist I have ever had. I can not wait to have my smile back and know I will never have a bad experience ever again. Thank you Dr. Kumar and Sheri for everything. You are what make Smile Unique the best place to go. The staff is very friendly and knowledgeable. I was very impressed with the 21st century equipment. I will recommend Smile Unique to everyone, and I will be back. Excellent experience. Visit was timely, staff was very knowledgeable and polite. Came for semi-emergency with my son, and I will be visiting again for myself. Smile Unique is very professional. I went to have a deep cleaning and it went very well. My gum stopped bleeding after the cleaning. Sheri was super friendly. Highly recommended. Man, am I glad I found this place. After having multiple bad experiences at various dentists I'm reassured my teeth aren't going to just rot out. This Sunday I was in pain that was almost unbearable and they stayed open to see me and not only did they help manage my pain they were able to see things previous dentists could not (he's just that good) and they were able to give me the referral I needed to also see a specialist. Kumar and Sheri have such a relaxing vibe about them and they won't give you the run around. Absolutely amazing people here. 10/10 would recommend and I'll definitely be returning for my dental health. Super awesome staff. Dr. Kumar was very professional and kind. Sheri was awesome and superbly helpful. Very clean fascility! Would recommend 10 out of 10 times. This was by far the best dental visit I have had. The staff and dentist were friendly and made sure that I was comfortable during my whole stay. I had an excellent experience with the dental hygienists and Dr. Kumar! Everyone was so friendly and attentive to my needs and questions. I will absolutely be back for my next cleaning! Staff and service was excellent!! Very efficient and family oriented. I will definitely keep coming back. This is by far hands down the best dentist I have ever been to i have been dealing with a bad abscessed tooth and got nowhere when calling for an emergency but then my mother and grandmother ran into this group and spoke with the nicest lady Sheri who shows so much compassion in what she does and so much empathy with me when I was in so much pain the doctor was amazing and truthful when he was to give his opinion I am so thankful I have crossed paths with smile unique I have finally found a dental clinic I am comfortable with. I highly recommend you try them out i promise you will not be disappointed. Friday evening at 6pm I fell and chipped 2 teeth. Sheri and Dr Kumar were wonderful and so helpful. They set me up with a specialist for the next day. Wonderful experience for such an awful situation. I had an awsome experience here and Sheri and Dr.Kumar are cool and funny. I will recommend this dentist to everyone. Sheri and Dr. Kumar were friendly, professional, and had a great energy. Went in on a groupon but will definitely be going back for all my future dental needs. Thank you Dr. Kumar and Sheri! I had a wonderful time at the office! They went above and beyond. The staff were all incredibly kind and helpful, and the dentist did everything to make me as comfortable as possible. They even came in on an off day because I was moving out of town, just so that I could get a procedure done before I left. I would absolutely recommend everyone go and see them! Went here at the last min, Sheri got me in on a Saturday and they treated me like family. Very friendly and explained everything to me. Love my experience! I just left this place and man I thank Dr. Kumar and Ms Sheri you had me forgetting about the pain the whole visit awesome place to take family they will get you right and smiling such a blessed visit. I thank you guys for the relief you gave me. Kept a smile on my face the whole time . This place is amazing Sherri is an angel! My wife was doing bad they made her feel better which make me happy!! I hate going to any dentist and Sheri made this the best and easiest experience I have ever had the Doctor worked with my fear and my budget and even made it an after hours appointment so amazing and worth it I will be recommending them to every one I know !!! And even everyone I don't know!! I had an appointment elsewhere but the power was out at that office. I called around and found smile unique, as was promptly set up-to take care of my dental needs. The staff is understanding, and cares about your needs. If you are looking for good people come to Smile Unique. Dr. Kumar is a very good dentist. I am terrible with needles but he was very careful and made me very comfortable. I felt no discomfort throughout the procedure. Sheri is just awesome. She'll make you feel like you are one of her family member or a close friend she's known for years. Definitely the best dental Practice in the area. A well deserved 5 star. Amazing staff! Everyone was very nice and friendly. Sheri was extremely helpful! Dr. Kumar and Sheri answered every question we had and made us feel comfortable. Took my mom in to get some work done and Dr. Kumar did a great job! Overall, a great experience! Had my cleaning and bleaching done at Smile unique Houston. The treatment and results were as expected, the staff was fantastic, welcoming, funny. Dr. Renteria is fantastic as well, friendly, and best of all, very knowledgeable, she explains in details what needs to be done. Had a great experience as a new patient. All of the staff are caring, wonderful, and professional. I left very happy. I highly recommend Smile Unique to anyone. Can't wait for my 6 months follow up. Extremely professional, patient oriented, friendly office. The Dr. and staff ensured that I knew exactly what they were doing and why there were doing it. In addition, they put my comfort first and sought to make the process as painless as possible. Definitely recommend! It was late Friday evening and with no hesitation Dr. Kumar and team welcomed me in. I just wanted to say thanks for a great Dentist experience. Great office great staff. Best dental experience in Houston. Additionally, Sherri is an excellent hygienist and she has my highest recommendation. I had a great experience with this clinic! Super sweet staff, very professional, and a hot dentist! I had a great experience the staff was very professional and friendly. 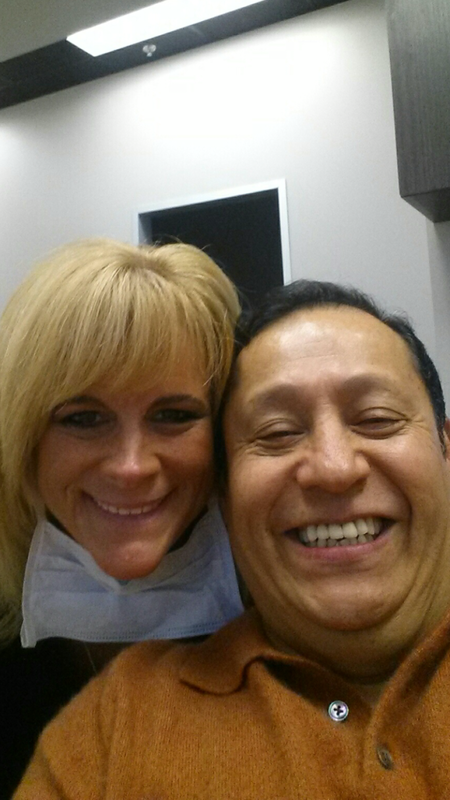 The hygienist Ms. Sheri and Dr. Kumar were both amazing they were patient, nice, and very knowledgeable. They both answered all of my questions and made me feel comfortable and at ease about my visit. I highly recommend Smile Clinique!!!!!!! Love the staff and Doctor here! Professional, fun and knowledgeable!! Had a cleaning and exam Donets their falcon landing location and I was very pleased from the time I walked in to the time i walked out the door at the end of my visit. Highly recommend them and I will definitely be returning! Everyone at this office was so amazing! I had been looking for a new dentist for myself and my kids for awhile now. This place did NOT disappoint! The hygienist, Sheri, made my kids feel so at ease. She was so sweet and made sure they were well taken care of. Seeing that made me feel even more comfortable about going there myself. I needed a root canal and had been putting it off for way too long. Dr. Kumar was great!!! Between him and the girls in the office I was able to control my nerves and not freak out during the procedure. I BARELY felt any shot that I was given, and that was a first!! I will recommend this office to EVERYONE I know. Thank you all so much for taking good care of me and my boys! I'll preface by saying a hate going to the dentist. I hate it, but I love Sherri. Best dental hygienist ever. Dr Kumar was wonderful as well. They spent a lot of time with me and took good care, but are also just a lot of fun to be around. Makes a high stress situation for me, so much more relaxed. Thanks for being a blast and making my teeth pretty while you're at it. Dr. Arunkumar and his staff are terrific. Sheri, the Hygienist is great. She makes going to the dentist comfortable and lots of fun. The office staff is very knowledgeable, helpful and extremely nice. I would definitely recommend this office to anyone. This was the best experience I have ever had at a dentist office. The staff is wonderful and Dr. Kumar Is the best, he genuinely cares about his patients. Beyond wonderful, amazing, and relaxing experience! I would highly recommend this dental office to anyone! They are all professional and take into consideration if you're nervous about even being there. The staff is very friendly and make you feel welcomed and wanted there. I will definitely be spreading the word about this dental office! Wonderful staff! So warm and friendly. Doctor Arunkumar is a great dentist, he pays attention to his patients and does a great job. I would definitely recommend them to everyone! I moved to this dental office from my old one. I absolutely love it! The entire staff is friendly and makes you feel comfortable. My dental hygienist cleaned my teeth perfectly and had me out of the office in no time! I highly recommend this office and feel that they are doing their job just right! The staff is fun, professional and knowledgeable. My husband have been afraid of the dentist all his life. He has a real fear of dentist, he was so afraid he was losing all his teeth. As a matter of fact he would rather lose a tooth than go to the dentist. I finally convinced him to go to Smile Clinique; would you believe he is going to his third visit this Saturday? The staff understands his anxiety and handled him with special care. They made him comfortable and put him at ease. My husband said he wishes he would have found them 6 years ago before he lost his back teeth. Thank GOD he is on the road to getting his teeth taken care of and will be having his teeth cleaned 3-4 times a year. Thank You Smile Clinique, for caring and treating us like we have million bucks! Everyone on there was really nice & easy. My daughter had her first cleaning and they made her feel so comfortable. They were so helpful with her that made my experience even better. I'm a self pay patient they're really great on pricing, I've been to other dentist office & paid a lot more with insurance. Love this place! I'm one of those patients that dentists usually scare off, either with a lecture or with pain. I received neither at this office. The entire staff took into consideration my confession of not going to a dentist because from the very beginning of my experiences with dentists, I have had nightmarish experiences...being told I didn't know what I was feeling when the dentist began work on me before I was numb...that magic little pill never works...or a lecture on dental hygiene with a sermon that would make the Bakkers proud. I would recommend this team to anyone who dreads a visit for cleaning or that dreaded root canal...I might even have to come back after I move! This is by far the best dental office I have ever used. For someone who has always had high anxiety when having to visit the dentist I can truly say I actually look forward to my visits (had a procedure that required more than one to complete) with them. Mae is a beautiful presence that greets you when you walk in and makes you feel as if you are family. She is quick, thorough and ready to assist with the business side of your visit. When I initially called it was an emergency and she got me an appointment quickly and was patient in working with me as I had just gotten new insurance and was having some difficulty retrieving the details she needed. Sherrie, their hygienist, is never without a huge smile on her face and quite honestly kept me laughing with her great sense of humor did my cleaning so thoroughly and quickly. They use the latest in technology in their equipment which I really liked. Dawn, also, was wonderful as she was the first to get me set up to start the process of my root canal and dealing with a broken tooth. She was very gentle and made sure to ask questions to assess my situation first in order to not cause pain in the area that was affected. Dr. Arunkumar or Doc Kumar as most call him is amazing as well. It is obvious he is very knowledgeable and quickly assessed exactly what needed to happen to fix my problem. He also, as the rest of his team, was very personable and has a great chair side manner. This is the first time ever I can say that I actually enjoyed my visit to the dentist and it was due to the wonderful team that give the best service ever from start to finish of your visit and truly make you feel that they are glad you are there. The entire staff is so professional. The dental work is great! It's good when you can walk away from the Dentist office with a smile. They go above and beyond to make you comfortable. It's like being with the family! My husband and I and the children and grandchildren all go! Excellent experience! Dr. Arunkumar is professional and very down to earth. He and his staff are extremely polite and helpful. Smile Clinique is truly customer focused. I highly recommend them!!! Great dentist and great staff...they make u feel at home and are very friendly and explain everything to you step by step. I will be going there for now on and i will be taking my family there as well for now on. I recommended a friend there and she said everything went smooth & the staff was nice and professional. I went in for teeth cleaning Ms.Mae (the receptionist) was great made the sign in process easy and seamless the staff is great and Dr.Kumar was very gentle with my sensitive teeth! Everyone here is super friendly! They have everything prepared and ready to go which makes your appointment run very smooth. Best part is when Dr. Kumar breaks everything down with Ms. Sheri what is to expect. Defiantly coming back! Warm, Professional, outstanding dentistry practice. Would recommend to anyone. The staff is very friendly! I hate going to three dentist but they make it Soooo easy.... All of staff including the Dr are very down to earth. Sherri the hygienist was very gental. Dawn assisted Dr Jay with my root canal by the way didn't have much pain. The next day Terry have me a follow up call to see how I was doing. Love them! 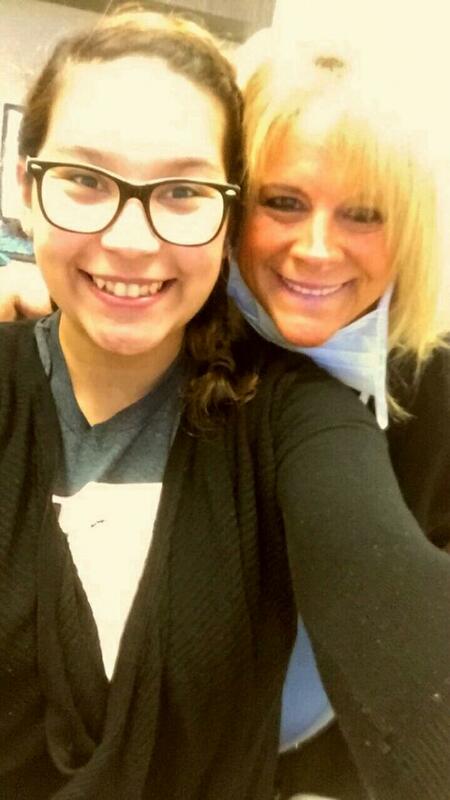 Ms Mae is awesome as well and worked with me so that I could get my dental work done. Great professional dental service. Everyone is always very nice. We Like going to their office because, it's like going into a friends living room. We like it's not sterile feeling, but warm and friendly yet professional. I've finally found a great knowledgeable Dentist. Dr. Jay and his office staff will make you feel comfortable and no pain.They are professional and friendly! Best Dentist ever! Jay is a great dentist! Affordable, attentive, polite and understanding! The office makes you feel comfortable and does not ridicule you when your teeth are not perfect however they are still very informative on how to take better care of your teeth. Very nice a clean facility! Great hygienist!!! Sheri was very gentle and my teeth have never felt cleaner! The whole staff was very friendly and immediately put you at ease!!! My whole family (5 of us) will be going there from now on!!! Greatest dental office in Houston! They have a very professional staff, who are focused on pleasing their patients. They are super freindly, I would Absoultely would recommend to anyone in need of a dentist. Today was the first time in my life I have had my teeth cleaned without any pain involved! It's a beautiful office that is super welcoming to everyone who walks in. Dr. Kumar is a very professional and his priority is taking care of his patients. 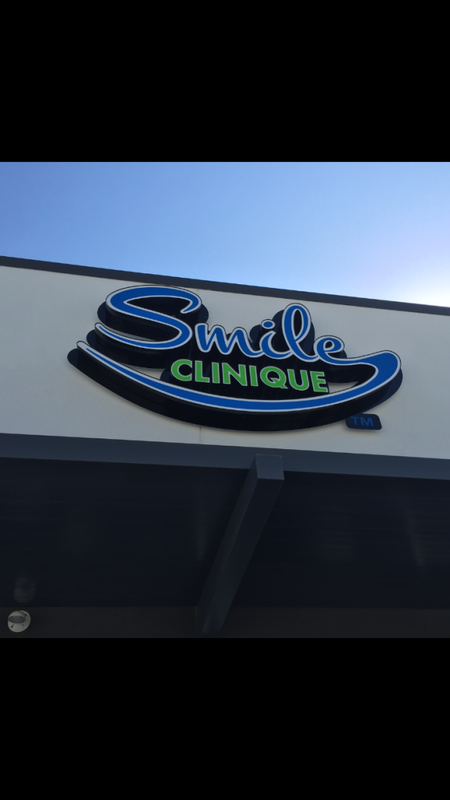 If your needing a dentist or a cleaning, go to smile clinique it will be the best experience at a dental office you may ever have! Thank you! BEST DENTIST OFFICE I HAVE EVER BEEN TOO! The staff was extremely friendly and helpful. The restrooms and the entire office was very clean, there was hardly no wait time! I filled out a few documents and Dr. Kumar was ready for me! He was very knowledgeable and friendly. I got a root canal done and two crowns and was out of the chair in 2 hours, and I didn't feel a thing! He even called me the next morning to see how I was doing. I would definitely recommend anyone to smile Clinique! Dr Kumar and his staff are amazing! Everyone was extremely welcoming and attentive and it was an overall great experience. I will definitely be going back and highly recommend them to anyone looking for a dentist! restrictions may apply. call for details. No insurance needed. © Smile Unique. All rights reserved.